Alan Bryan, senior associate general counsel of Walmart Inc., told lawyers at the 15th Annual Federation of Defense and Corporate Counsel Symposium in Philadelphia why and how the legal department developed its legal operations function to control spending. Walmart Inc. sells billions of pounds of bananas every year. 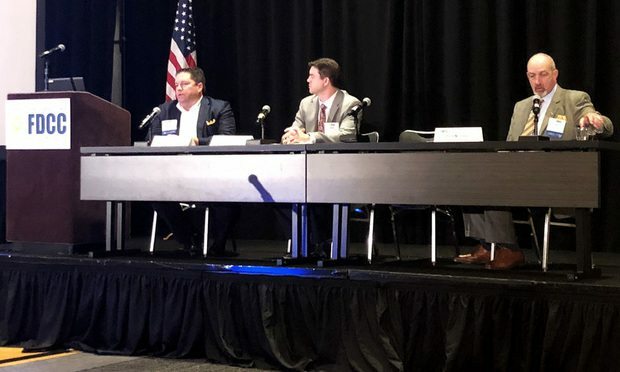 In one month, however, the legal department will spend more than what the company sells in bananas, Alan Bryan, senior associate general counsel, told a crowd of attorneys on Tuesday at the 15th annual Federation of Defense and Corporate Counsel Symposium in Philadelphia. That major cost, he said, prompted the need for the legal department to develop a legal operations function and control spending.